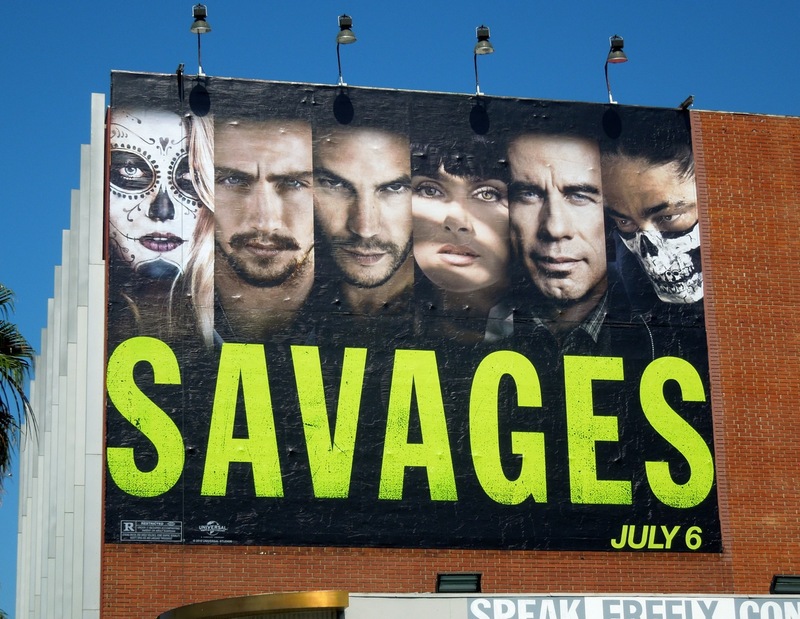 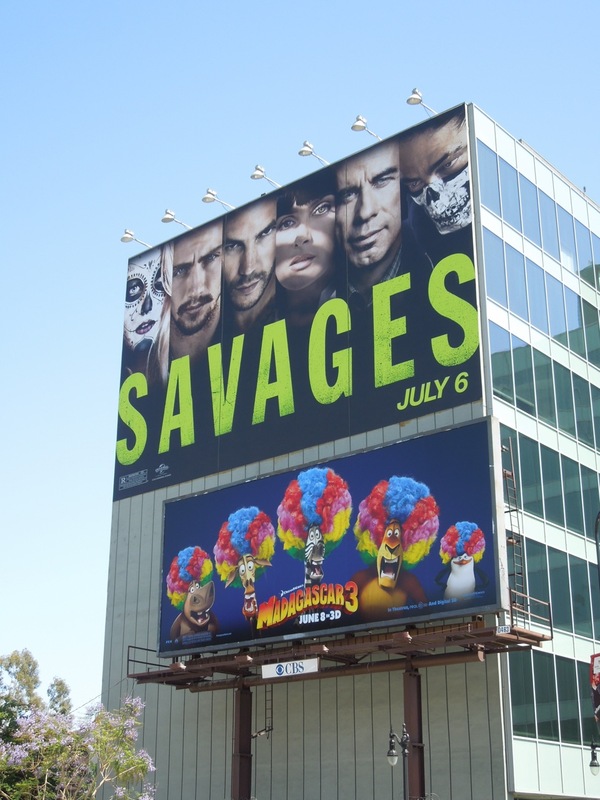 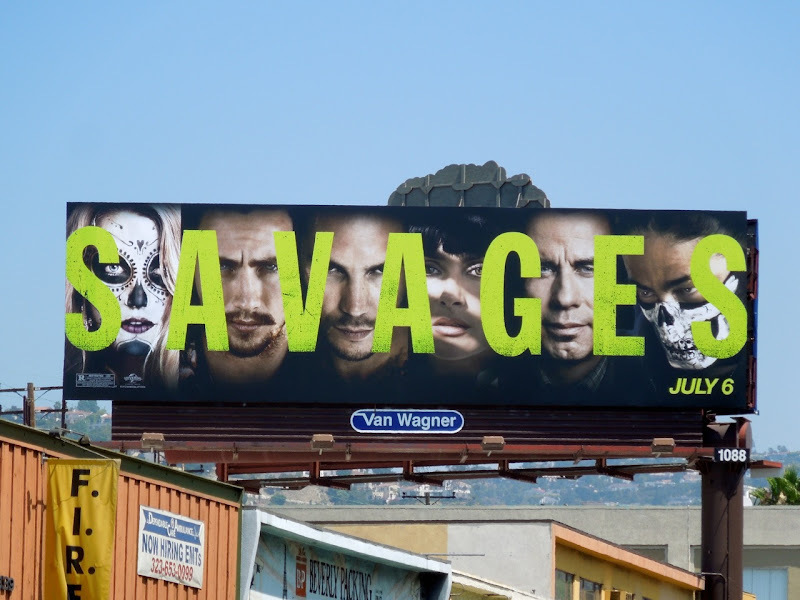 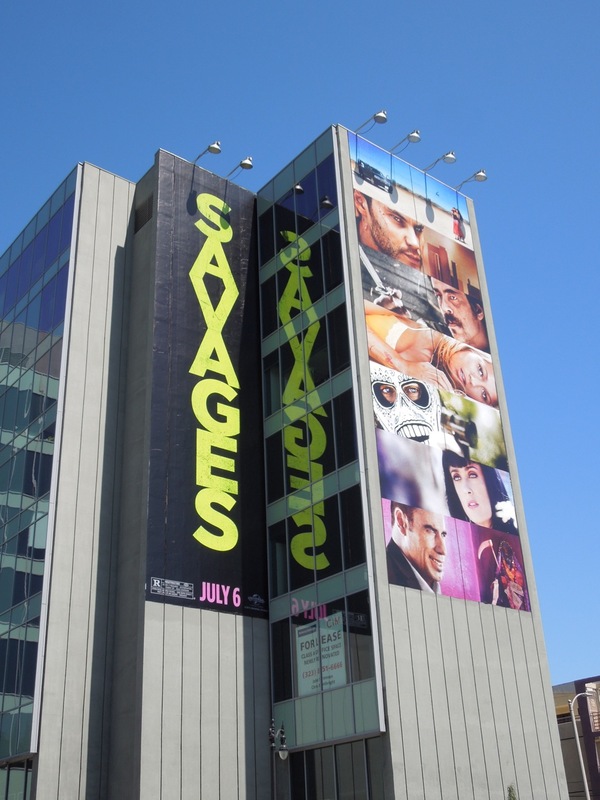 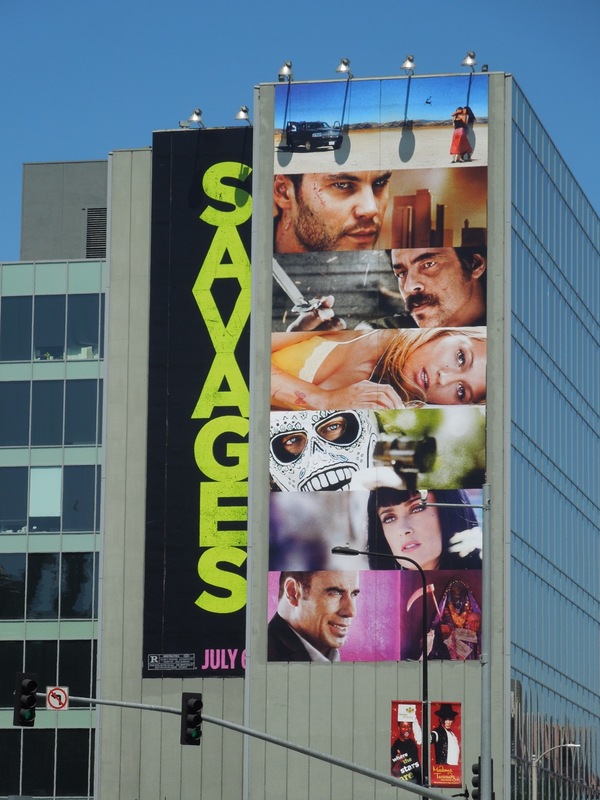 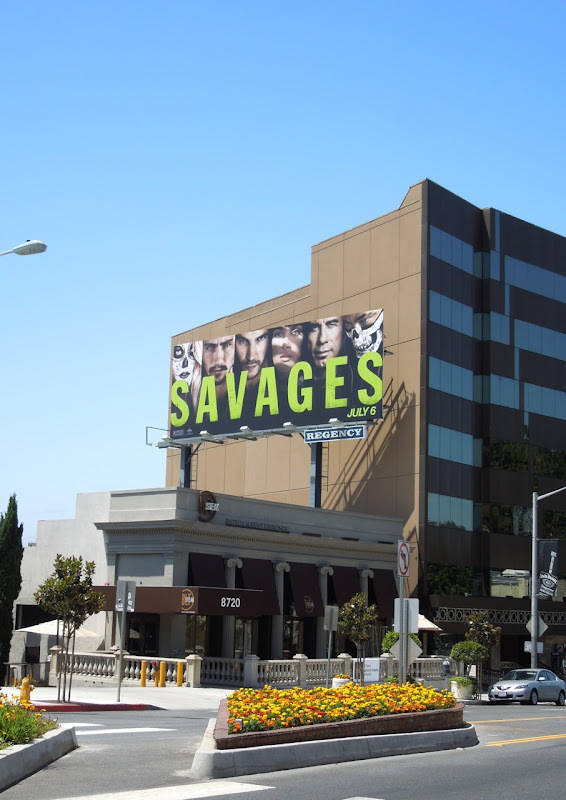 If there's one film that's more noticeable than Spider-man or The Dark Knight Rises this Summer, it's Oliver Stone's Savages thanks to the plethora of billboards for the movie around the streets of L.A. Appearing around June 12, the ads in several different executions and sizes having been filling the skies of the City of Angels with their eye-catching lime and black creative. 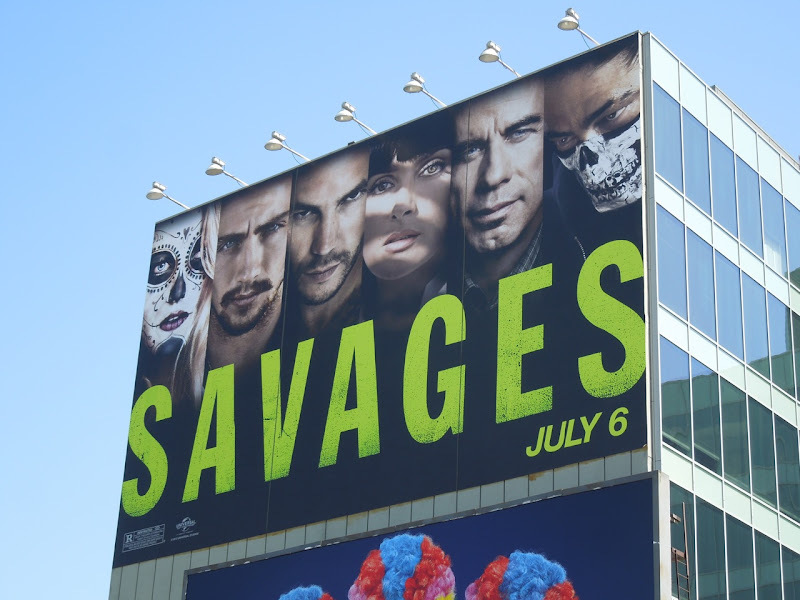 Daily Billboard also thinks that it has something to do with all the movie's stars being flanked by two characters made up in striking Dia de los Muertos/Day of the Dead face-paint, making for an arresting visual. 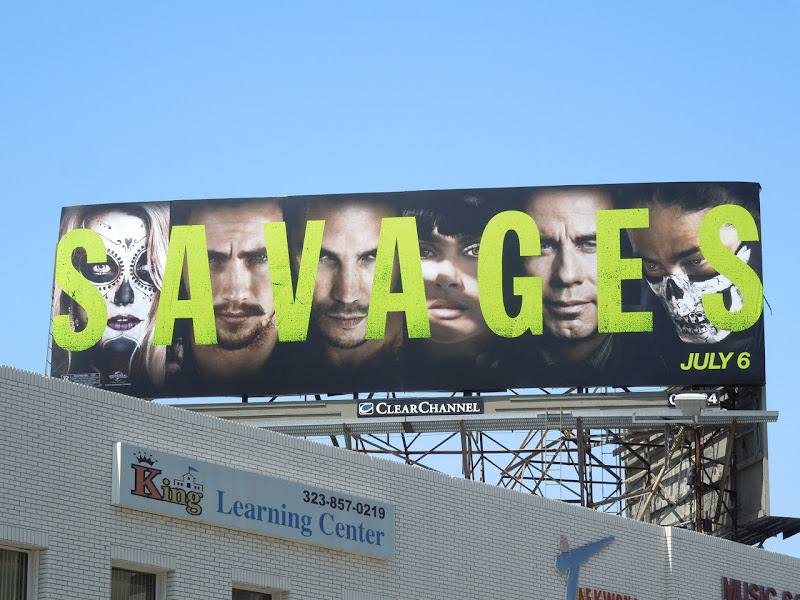 This tale of marijuana dealers and mexican drug cartels sports an all-star cast including Benicio Del Toro, John Travolta and Salma Hayek to name but a few, plus Aaron Johnson and Taylor Kitsch as the shared pot-dealing boyfriends of Blake Lively's 'O', who gets kidnapped and held to ransom by the rival gang. 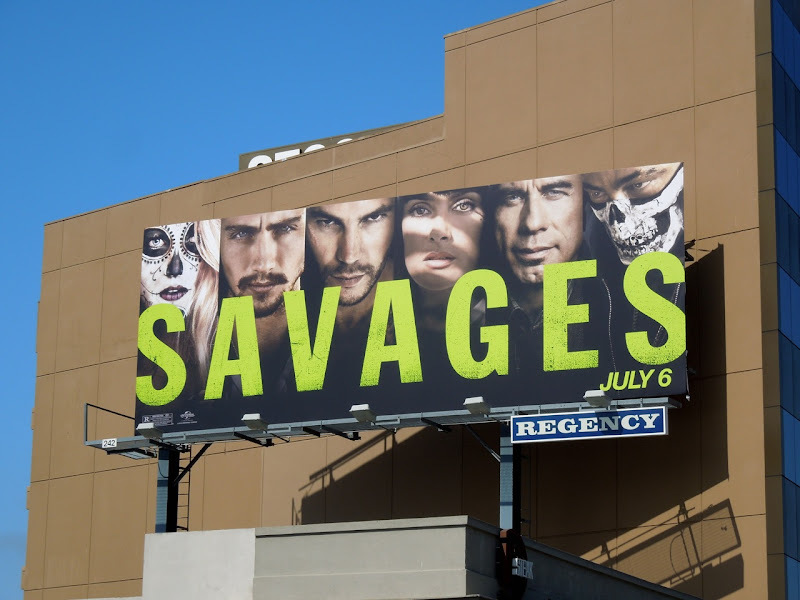 Taylor Kitsch must be hoping like mad that this is his lucky film that breaks his run of recent flops, John Carter and Battleship, this year. 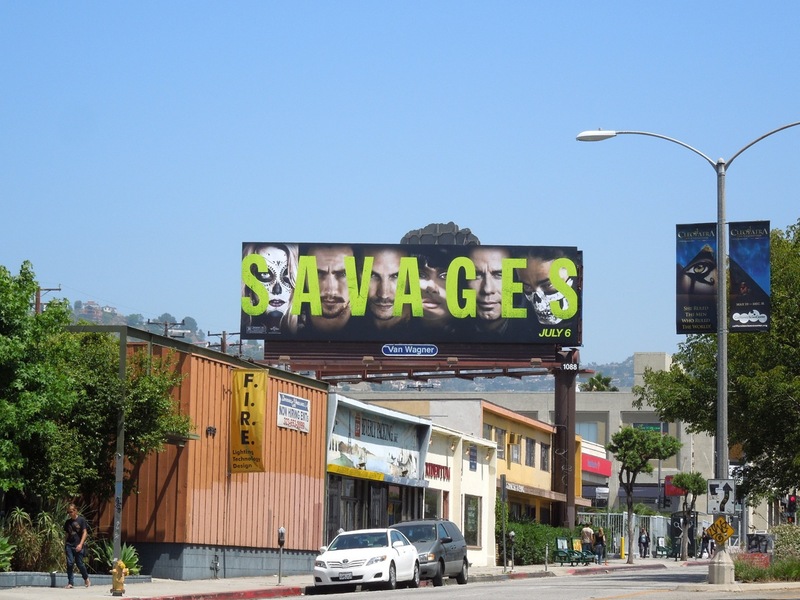 The landscape billboards were snapped along Wilshire Boulevard, Fairfax Avenue and Sunset Boulevard around mid-June, whilst the super-sized versions (including the spectacular vertical version) were photographed at the heavy traffic corridor where Highland and Franklin Avenues meet in Hollywood on June 17, 2012. 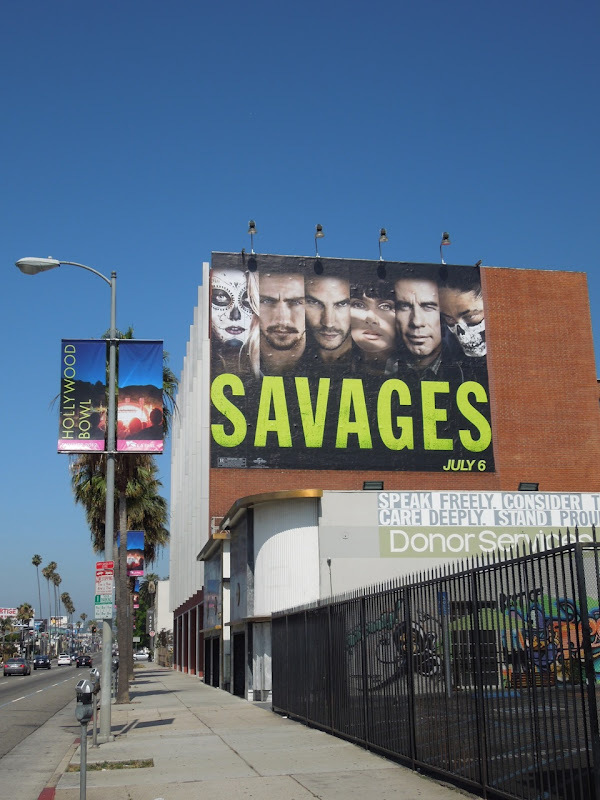 As you can see Los Angeles is having a savage old time of late.